It’s easy to think that because your business is doing well at the moment, that things will continue. But it’s simply not the case, the world of business is cutthroat and ever changing- and so if you want to futureproof your success there are a few things you need to do. Here are some ideas for going about it. If you’re the kind of business that sells products online, then expanding operations can be a good way to make more money. If you’re only selling locally for example, could to start selling nationally? If you’re already selling to the nation, could you go global? Appealing to more people will mean more sales and more profits. It can mean big changes to your business however, you will probably need to create new departments and hire more staff to keep up with demand. You’ll also need to improve your advertising and adjust your marketing strategies, an SEO agency will be able to help you with this. Thanks to the internet, entering foreign markets is easier than it once was, although of course plenty of planning and preparation will be needed. Once you’ve expanded worldwide, the sky’s the limit when it comes to earning profits. Don’t limit yourself to a smaller area when you could realistically be advertising your products to a much wider audience. Modern businesses are taking advantage of automation– if you want to keep up then you need to be doing the same. Software and programs make tasks much quicker and easier, either reducing the number of staffs needed to do the work or requiring no staff at all. This helps you to reduce costs, and means the employees you do have can be put to work in the best possible way. Why have a worker stuck on a tedious, time consuming task all day when a computer can do it in seconds? You avoid human error and save yourself on hiring costs as well as paying the wages of additional staff members that you don’t really need. Do your research, find out which programs would best suit your business. Better still, work with a software designer and have them create something bespoke for your company. Stick with manual methods and your competitors will leave you behind, and you’ll be wasting time and money which will put your venture at risk. You might be successful now and turning a profit, but that could all change. Smart entrepreneurs know that they need to stay relevant and be adaptable based on consumer demand and things like changing technology. Make sure that you’re always keeping a lookout with your competitors and in the wider world for things that could affect your business or render you obsolete. That way, you make money and are a success in the here and now and can keep earning for many years to come. 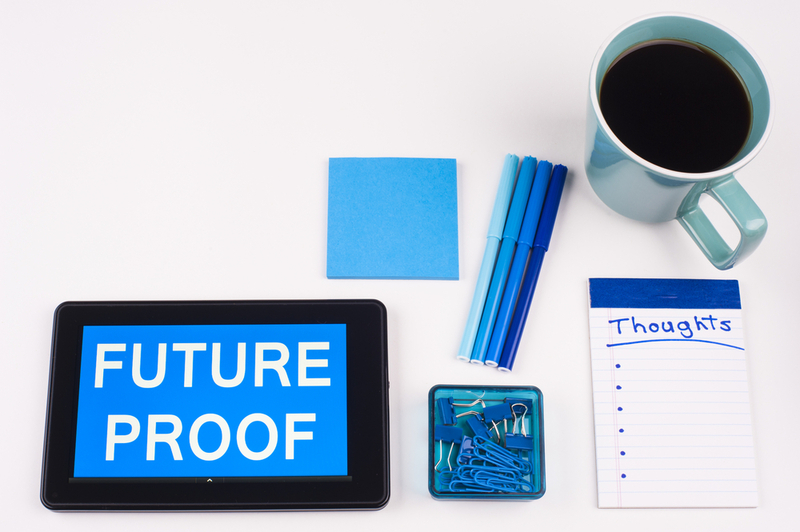 What proactive steps have you taken to ensure you futureproof your business?